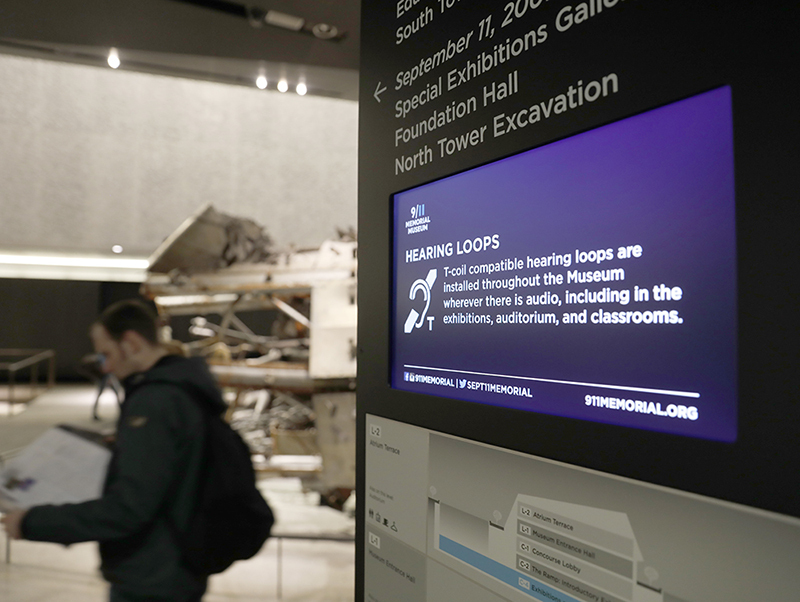 The National September 11 Memorial & Museum in lower Manhattan recently overhauled its digital signage. After reviewing other digital solutions, BrightSign was chosen to supply digital signage hardware, and Smart Digital Solutions was chosen to provide systems integration and support. The combination of BrightSign’s rock-solid hardware and same-day local support from Smart Digital proved to be the perfect solution. BrightSign’s media players were integral to this initial deployment –the first in a series of digital media enhancements to enrich the visitor experience. All told, BrightSign’s media players now power one third of the museum’s digital signage, feeding informational and interactive content to approximately 30 displays located throughout all seven floors of the subterranean museum. BrightSign’s 4K players power a combination of Sharp and LG displays positioned at key entry points and high-traffic areas. This includes single screens, video walls and interactive touchscreens. At more than 100,000 square feet, the museum relies heavily on these displays to help visitors make the most of their time in the museum. The museum is open 365 days a year, for as many as 14 hours per day during peak tourist seasons, welcoming as many as 20,000 visitors per day. Any downtime would cause significant inconvenience. For this reason, the near-perfect reliability of BrightSign’s players was a key factor in the decision to implement the company’s players.